Can I Sell A House In Probate In Colorado If I'm The Executor? How Do I Sell An Inherited House If I’ve Been Named The Executor? If you have been searching around for the best company to buy your inherited house fast while it’s still stuck in probate then please contact our local team at (719) 286-0053 to speak with one of our customer service reps immediately about your options. 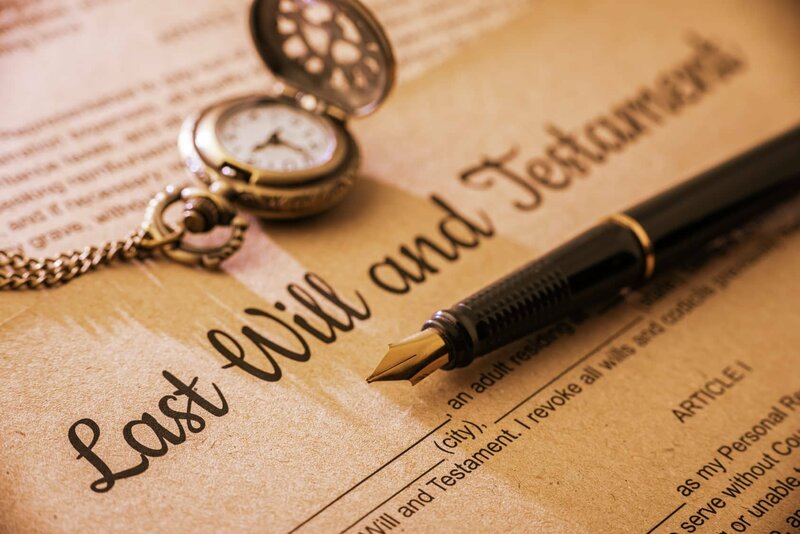 Typically, one person will be named as the executor of the estate after the relative passes away, as designated in their last will and testament. The executor will have complete control over liquidating the assets of the recently deceased relative and disbursing the funds as outlined in the will. If you are not designated as the executor you can still contact us and have us present you with an offer on the home – we’ll just have the get the signature on the purchase and sale agreement from the official executor in the transaction. If you have been named the executor of a property that you have recently inherited in Colorado and you would like to get a fair cash offer on it right away then please fill out the form on this page and we’ll present you with a fair cash offer in less than 24 hours. Learn how to sell your inherited Colorado house fast in 7 – 10 days for cash with our streamlined home buying service that alleviates all of your stress and pressure and lets you close without any delays. We are professional investors who can close fast using our own cash and we love to buy inherited houses in Colorado and we cover all closing costs too! We can close quickly. When we buy houses in Colorado that have been inherited we can close on the property extremely fast without the owners having to invest any of their own cash into repairs, closing costs, and listing fees. We buy in as-is condition. Our property buying company purchases homes in their current condition without the homeowner having to hire contractors and bring them in to make repairs. Hiring and managing contractors and picking up materials can be a logistical nightmare, and selling directly to an investment firm is the solution. There are no closing costs or commissions. If you want to completely avoid paying closing costs and realtor commissions along with listing fees then you are probably in a great position to sell your home to a private investment firm such as us here at HBR Colorado. Investors are flexible with their contracts. Another main benefit of being able to sell your home directly to an investor is that they are extremely flexible with their paperwork and contracts, and can set contracts up to where the current tenant can remain in the property up to 30 days past the actual closing date. Sell My Inherited House Fast In Colorado Today! If you are ready to get a fair cash offer on your inherited Colorado home today then please either fill out the form at the bottom of the page or call or text (719) 286-0053 to get an instant cash offer on your probate home right now. We are experienced investors who have bought and resold hundreds of inherited properties in the State of Colorado and we look forward to working with you next. Our company is able to get our work done for much cheaper than other “we buy houses” companies in the same area, so if you want to get the maximum value out of your property without having to make repairs or list with an agent then please contact us for more details. Why should you sell your house to a real estate investor if you have inherited it and own it free and clear? Because investors can close fast and you won’t have to invest any of your own cash into the deal to get the home fixed up to be listed on the market. When you sell through real estate agents you will oftentimes have to perform a lot of repairs so you must factor that into the overall equation when you are considering all of the different options for selling your home. We are buying probate houses fast using our own cash in 7 – 10 business days so please get in touch with our company today if you want to find out exactly how much you can get for your property. We buy inherited houses fast without any delays, so you won’t have to worry about waiting around for a real estate agent to list the property on the MLS and look for qualified buyers. Selling through agents isn’t a good fit for probate situations because oftentimes the home will need a lot of repair work before it can be listed on the market again, so having the option to sell it directly to a cash buyer can be extremely attractive for people who have recently inherited a home from a deceased relative. Please fill out the form on this page to get a free quote on your inherited house today and find out exactly how much cash our house flipping company will offer you. We are experienced home buying investors who have been through hundreds of these transactions over the years and we are definitely interested in working with as many new sellers as possible in 2018 and beyond. Our investment strategy is to purchase, fix, and flip single family homes that are distressed and need work to bring them back up to full market value and provide buyers in the community a chance to purchase a home at the top of market value.